We have been stuck in a range for the last couple of days with some very choppy trading. We have made a base around 1.4455 and have failed to break the previous high at 1.4556. This has formed a descending triangle formation which favours a break to the downside. However, there are two sides to the story. This could still be a fourth wave correction before the next wave higher. At this point we cannot be any clearer and need to see a break of the formation to signal the next possible move. A break to the upside should take us to 1.4650. 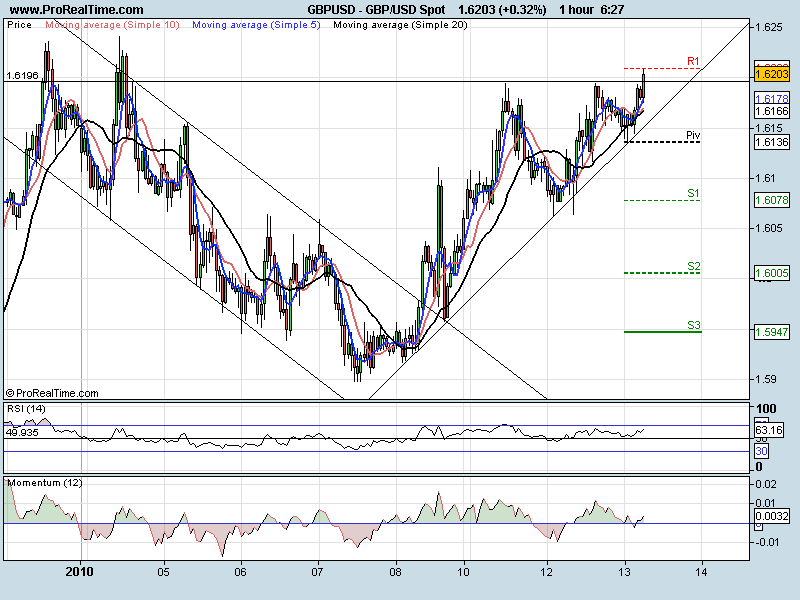 Cable pushed higher yesterday and stopped at the previous high at 1.6196. We pushed lower from the European close but only to 1.6138. This formed the ascending triangle we see now. This favour’s a move to the upside, showing that the bears are losing control with higher lows. 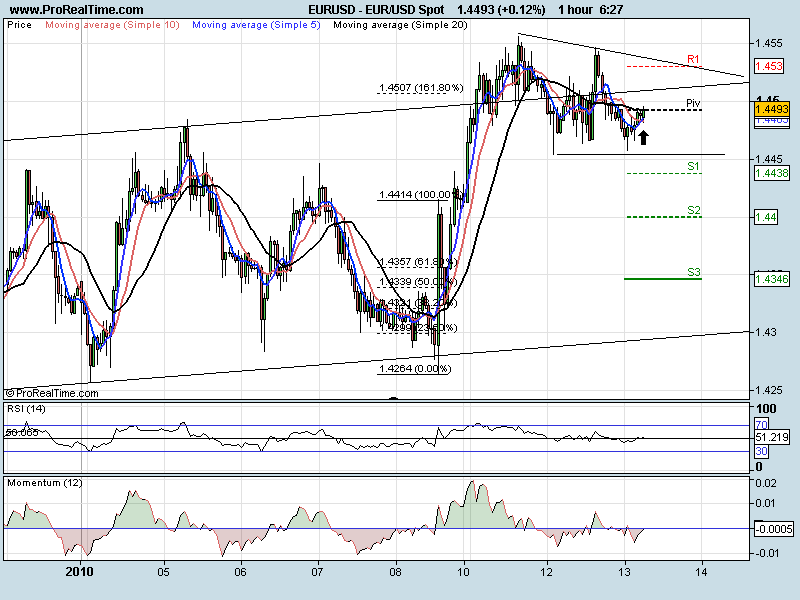 At the time of writing, we are pushing through the high and making a break for 1.6241 (previous high). 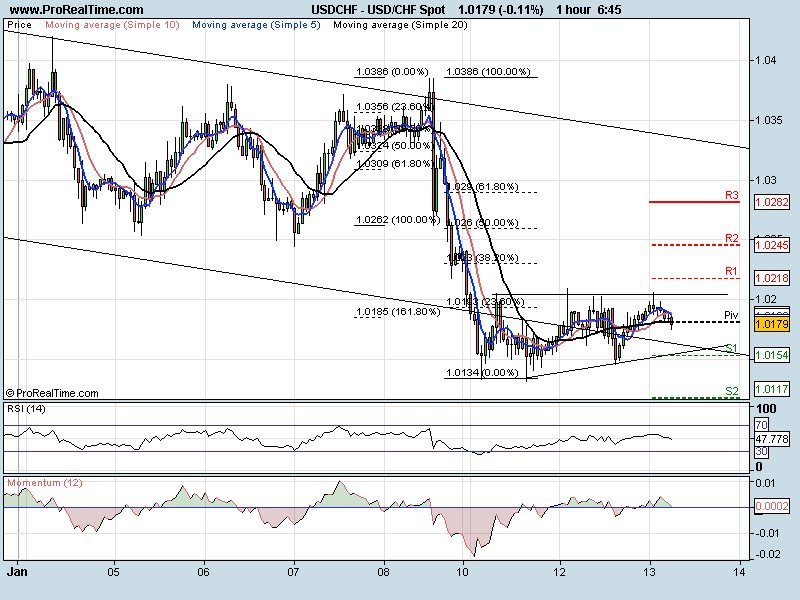 The 4 hr channel shows next resistance at 1.6331. A break back through the previous low at 1.6136 would negate this view. We have moved lower in the descending channel and broke through the previous low at 91.35. We have pulled back from 90.73 with the 4 hr RSI being oversold. We are moving sideways up in a corrective manner at the moment. We have descending trend line resistance at 91.26. As long as we stay inside this channel then the bias is to the downside. A break of the channel should signal a choppy move higher but would need to break 91.35, the previous support, now resistance line. I would then look to 92.16 as the next target 92.16. To the downside 90.00 would be the one to watch. Even with the verbal intervention on the SNB (Swiss National Bank) on Monday we have a similar picture (reverse) to the EURUSD. 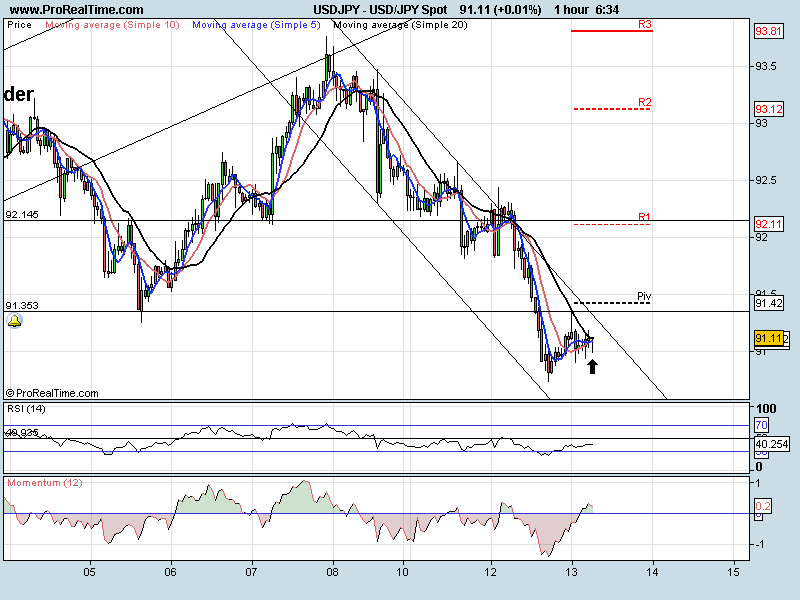 We are stuck in a range and have a ascending wedge formation (favouring the upside). We need to see a break of the formation. To the upside 1.0231 and 10262 would be the short term targets. To the downside, we need to break the low to possibly take us down towards 1.0060. We should keep an eye on EURCHF for a chance of intervention if the CHF strengthens too much.